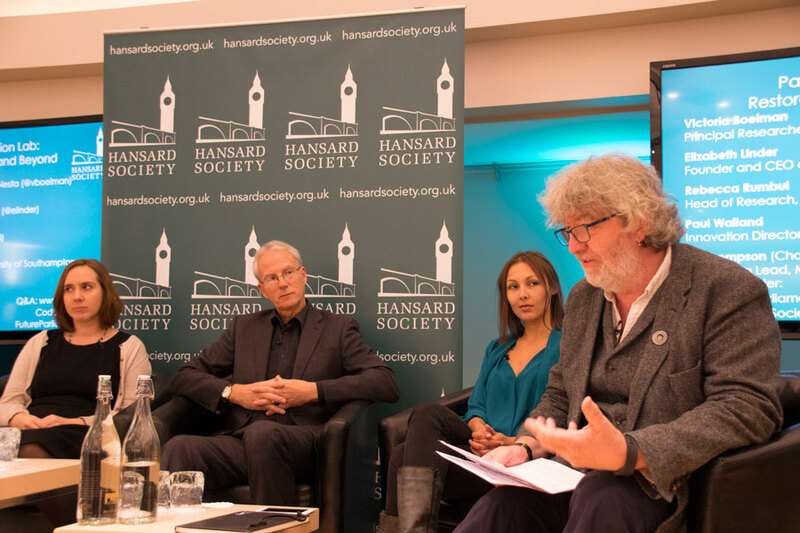 To mark Parliament Week – a programme of activities connecting people across the UK with the Westminster Parliament – the Hansard Society hosted a half-day event to look at the problems with the legislative process, and how technology might help solve them. 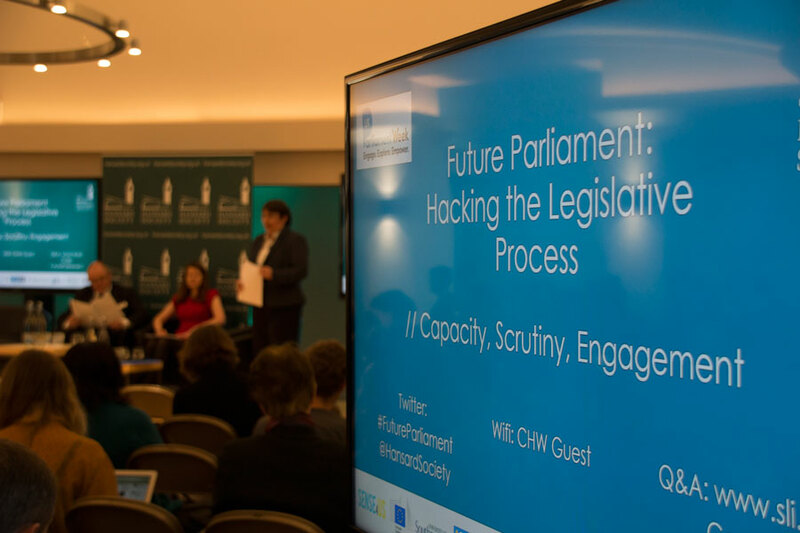 The latest in our Future Parliament series of research and events, it also looked at how Westminster could best use the rupture of being uprooted from the Palace to drive innovation, including trialing new technology. 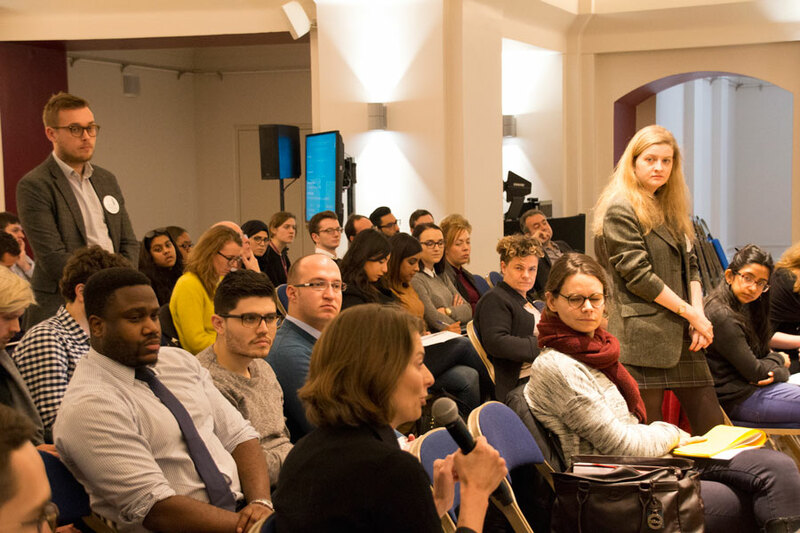 Our first panel looked at the current challenges to the legislative process within Parliament, and those areas where technology might be of greatest use, drawing on the Society’s involvement in the mutli-national EU funded Sense4us technology research project. 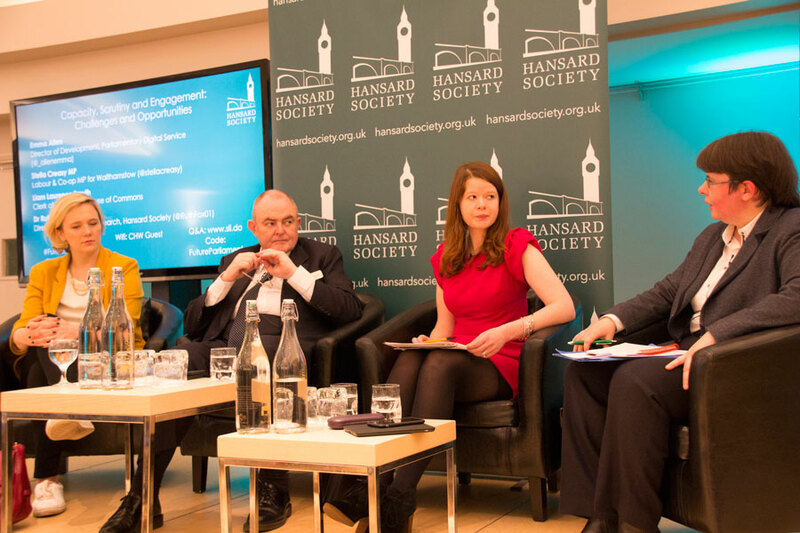 Dr Ruth Fox, Director of the Hansard Society, chaired a discussion with Emma Allen, Director of Digital Development, Parliament Digital Service; Stella Creasy, MP for Walthamstow; and Liam Laurence Smyth, Clerk of Legislation in the House of Commons. All the panelists raised culture change as a major issue for Parliament and technology - whether encouraging people to get involved with legislation, or moving beyond mass-email point-and-click campaigns. Education was also a clear factor for both the panelists and audience, helping the public understand both what Parliament does and decoding the language it uses. With the challenges laid out, it was clear that technology could help improve the process. 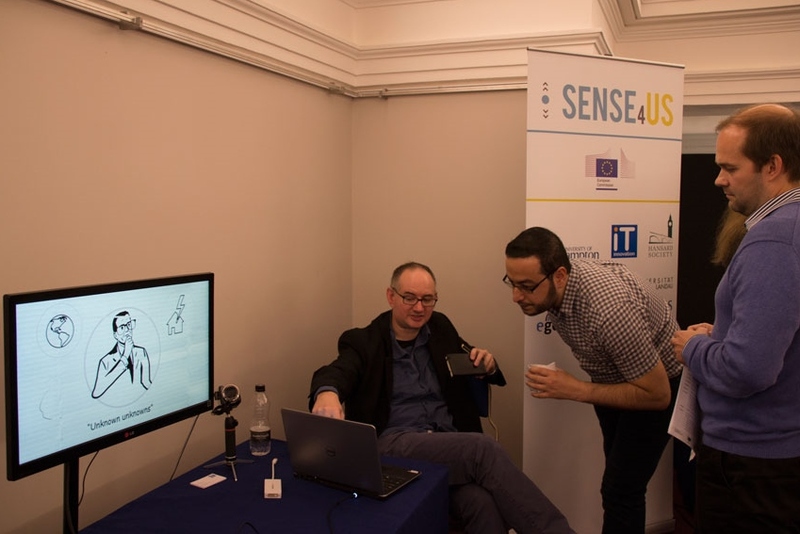 With a break for refreshments, the audience was able to learn more about Sense4us, a multi-national technology research project funded by the European Commission to develop new information discovery tools for policy-makers and researchers. The Sense4us toolset includes new tools to support text analysis, social media search and sentiment, linked open data search, and dynamic policy model simulations. Our second panel looked more closely at the future of Parliament - and the potential opportunities for innovation across the Restoration and Renewal programme. With MPs and Peers due to move out of the Palace into alternative locations in the Westminster area for a few years, could these temporary new Houses be turned into parliamentary laboratories to trial and test new digital technology? BBC journalist and technology critic Bill Thompson chaired the discussion with Victoria Boelman, Principal Researcher in Government Innovation, Nesta; Elizabeth Linder, Founder of the Conversational Century; Rebecca Rumbul, Head of Research, mySociety; and Paul Walland, Director of Innovation at the IT Innovation Centre, University of Southampton, and co-ordinator of the Sense4us project. Regardless of what technologies Parliament might test, the panel was clear that any temporary building presents a chance to be bold and less risk-averse, especially when it comes to space and design. Closing the event, it was clear that any technological ‘solutions’ would need to be considered carefully. From online echo chambers to the digital divide, innovation is just one tool at Parliament’s disposal.